“Natural medicines” (which include animal- and mineral-sourced medicines as well as plants) have been significant source materials for medicine discovery over the past several decades. Thousands of compounds have been isolated from them, developed into pharmaceuticals, and used as conventional medicines. 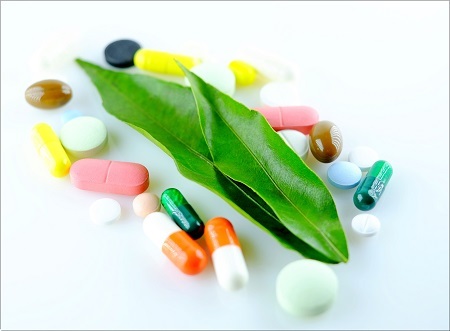 Herbal supplements, nutraceuticals, and other herbal healthcare products are also becoming familiar in our daily lives. However, herbal medicines and their products are composed of highly complicated compounds, and their safety and efficacies are seldom controlled under the same regulatory system used for conventional medicines (most of which consists of pure compounds). Evidence-based approaches towards herbal medicines and establishment of appropriate regulatory systems based on results of scientific studies are required in many parts of the world for proper use and development of natural products. FIP’s Special Interest Group on Natural Products is dedicated to providing practitioners and the public with reliable information on herbal products, and aims to act as a forum for discussion on how best to combine conventional and traditional medicines to optimise the use of natural products in healthcare. The group is chaired by Dr Amanda Corbett (USA) and vice-chaired by Prof. Michiho Ito (Japan) and Prof. Joy van Oudtshoorn (South Africa). FIP congress sessions (For example, in 2015, we collaborated with FIP’s Academic Pharmacy Section and the Young Pharmacists Group to develop a symposium on “Complementary and herbal medicines: from lab to community”). Annual SIG business meetings (held at the FIP congress). In addition, the chair and vice chair of the SIG participate at Board of Pharmaceutical Sciences meetings. World Health Organization Working Group on Interaction of Herbal Medicines. Prof Ito and Dr Corbett attend the working group meetings and are contributing to the WHO guidance document “Key technical issues for the safe use of herbal medicines with reference to interaction with other medicines”. For more information or to get involved with this group, please contact Dr Amanda Corbett at NaturalProducts@fip.org.